The extreme heatwave that started from May 15, it weakened during the last weekend of May due to western trough ’08’ that brought severe hailstorm to the province of Khyber Pakhtunkhwa including Peshawar. Once again the heatwave is intensifying and it will continue to do so till the expected Pre-monsoon activity in the country. The highest temperature would be recorded from the the coming week that is June 2 till June 8 after that a slight decrease of 1°C to 3°C expected though the mercury will still be high till the mid-week of June. Cool North not so cool! Mostly dry weather is expected in the northern half of the country, few high and mid level clouds can pass through the extreme northern areas of the country from time to time. Temperatures will once again rise in these areas as the cold fronts are not near the northern parts. The highest temperature can reach north-eastern Punjab (45°C/47°C in Lahore, Sialkot, Jhelum, Gujranwala and adjoining cities), while 41°C/44°C in the northern areas Islamabad, Peshawar and adjoining cities. It can reach 47°C/49°C in Faisalabad, Okara, Sahiwal and adjoining cities. Central Areas to roast again! Temperature of 44°C/47 °C can reach in Multan, Muzaffargarh, Bahawalpur and adjoining cities. South to sweat badly as heatwave gains peak! Nothing is changed for Karachi’s temperature as it could remain around 32°C/36°C during the next coming days with fast winds, partly cloudy weather can also occur. Pre-Monsoon around the corner in Pak? *A upper air cyclonic circulation is over Chhattisgarh and adjoining states of India. It was the depression BOB 02 that affected West Bengal of India few days back. Monsoon in all important Kerala! Active Monsoon is expected in the month of June, Monsoon hit Andaman sea on May 17 while it hits Kerala on June 1. Indian Meteorological Department (IMD) did say that Monsoon might hit Kerala on June 3 but PWP in its Monsoon III did say that it would hit early than June 3. Temperatures are decreasing in central India due to the depression BOB 02 which has moved inland as an UAC. Monsoon will now move into Karnataka, Andhra Pradesh and other parts of Tamil Nadu. Monsoon still has to move towards central India and then westwards. There are slim chances of tropical activity in the Arabian sea in the month of June. Pre-Monsoon can break the Pak heat! Scattered pre-monsoon can occur in Sindh and North-eastern areas of Punjab from the middle week of June. Surrounding areas of South Punjab can also be affected depending upon the track of monsoons circulation. nice yr.dil khush kr dia. . .getting excited for monsoon season. . . 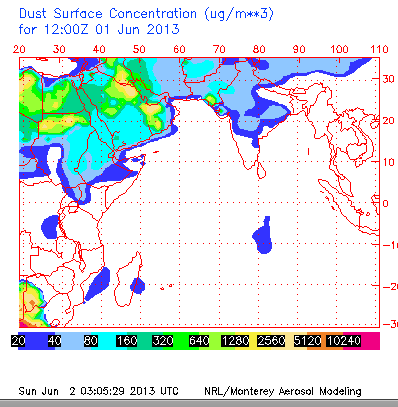 The monsoon in Pakistan and western India may be delayed, until the Arabia-Pakistan Dust Clouds moves aside, like you can see at http://www.ecoseeds.com/dust-6-1-13.png and http://www.ecoseeds.com/clouds-6-1-13.png. 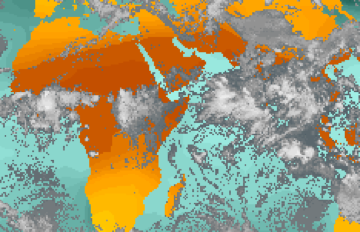 However, Arabia and especially coastal Oman may see some torrential rainfall and flooding from the moisture currently moving across from India. AOA.Babar Bhai Pre- Monsoon Rains Bahawalpur Me Hon Gi Kya….Plz Tell Me..
As written in the article, it would depend on the circulation. If it moves more westwards then there would be chances..
Once again the forest will be green and weather will be nice.Last time when monsoon redeveloped we felt cold.What is the update on pre monsoon in Islamabad and Khaur.Will there be a heavy monsoon season. There are chances of pre-monsoon, an update on Monsoon season would be published soon. Till the 24 hours some clouds with fast winds can occur not pre-monsoon. Slight chances of premonsoon rain during the mid of June. 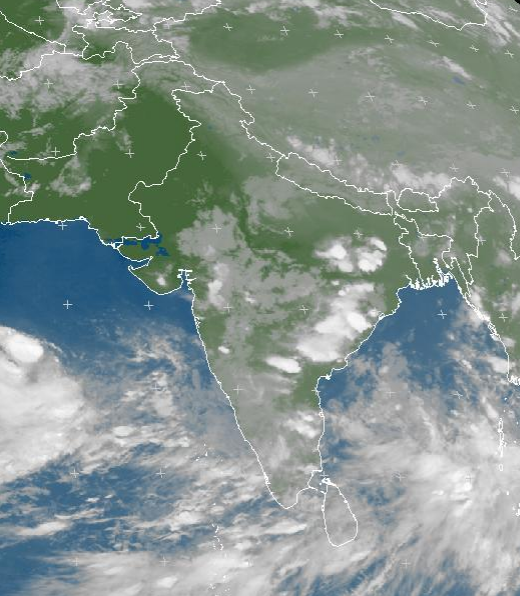 low pressure in Arabian sea ? it will make a cyclone ? when pre monsoon rains will hit dg khan division? Not much chance seen at the moment. I see the high level clouds coming from East/South East. Babar bhai as you mentioned in your article that the monsoon season for southern half will be near normal but unfortunately annual Karachi rainfall is very low, around 200 mm. Some times 200 mm of rain falls in a single day. that’s what we need this time too. Is there any possibility for such wet spell? Also tell me that how much influence arabian sea has over rains in Karachi, since depressions develop in BOB usually brings the rain to this part. It is very rare than 200 mm rain falls in just one day, last it was in July 2009. By most 100+ can fall though there are no mature forecast of such thing happening as of now.